is all painted up! I’ve met Phil Bishop a couple of times but I haven’t ever carved with him. But he was carving at a different table when I attended the Renegade back around 2013 and Vickie showed me a couple of Chris Hammack’s Bar Buddies that he had carved that day. I was amazed by the details and depth of cuts on his carvings! Phil and Vickie both are amazing carvers and it is a lot of fun trying to figure out how they carved things. I had to carve things in a certain order and be careful not to squeeze too much on these skinny arms and legs. Thanks for looking! Very nice! The carving AND the painting. The outcome of your work always makes me smile. Very good subject, excellent carving talent. Like this a lot and High Noon is one of my favorite movies ….. 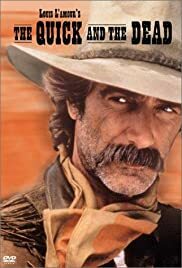 This guy looks like Sam Elliot! That is so great!! Wish I had a talent for carving. love it! Very nice, great job! Really good work. Lots of character in that face, in the whole project. I feel the same way, and his characters, all appear to be Characters. Mike, thanks for sharing again. me too you just cant feel bad when i see your carvings mike,i just love the emotion and whimsy you put into each one.they all tell a story without words,you are very gifted.